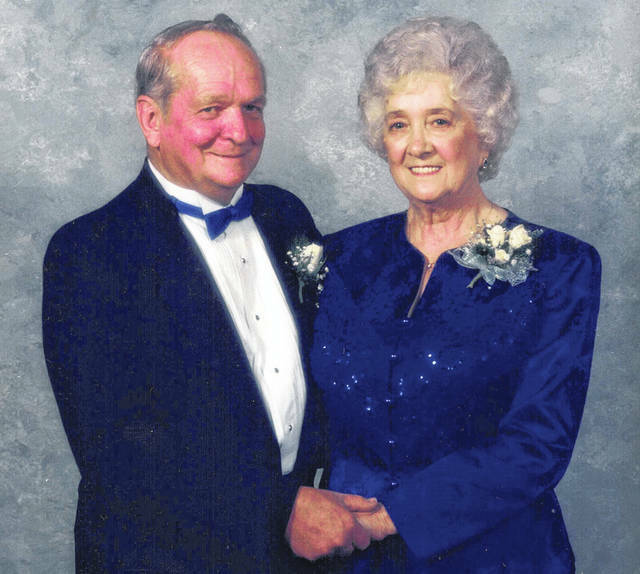 Mr. and Mrs. George William Mason Sr. celebrated their 72nd wedding anniversary on Aug. 29, 2018. They met when George was with the Army Air Force and stationed at the Sioux City, Iowa Air Base. Betty Jeanne was a U.S.O. hostess. They were married in Sioux City and have lived most of their married life in Hamden and in Blanchester. George is a retired agent operator from the B&O Chessie System railroad. They have three children — Dianne Sue Profitt, George William Jr. (“Bill”), and Saundra Jeanne Kratzer; seven grandchildren; 12 great-grandchildren; two great-great-granddaughters; and one special puppy, Miss Mittsy. They are “snowbirds” and spend the winter months at their home in Sun City Center, Florida.